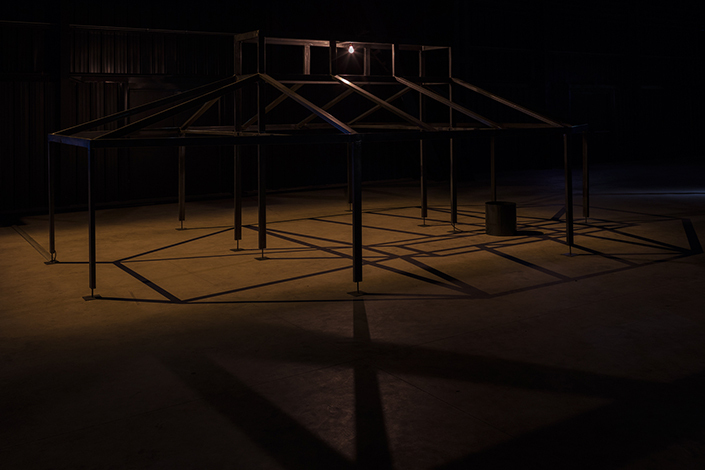 “CROSSOVER/S” is the first Italian retrospective by Miroslaw Balka (Warsaw, 1958), one of the leading artists of the last three decades, whose work explores human nature as well as individual and collective memory. 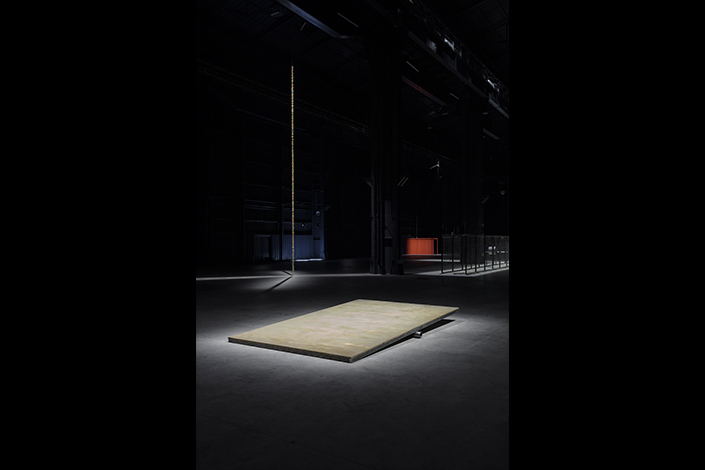 Reflecting on the history of Europe and especially of Poland, his birthplace and home, Balka draws on autobiographical elements and episodes to create works that address universal themes in a powerfully evocative way. Relevant in his practice is the human figure. 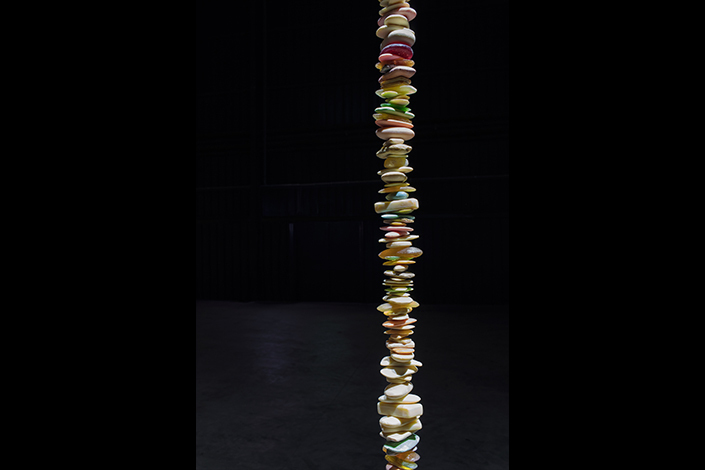 Even the titles of his artworks—often constituted by long arithmetic sequences—are taken after the artist’s height. In the early 1990s, Balka abandoned anthropomorphic forms to concentrate on depicting symbolic objects like beds, pedestals and fountains, in works that allude to the human presence without ever portraying it. These works are frequently realized with ordinary materials like wood, salt, ashes, soap, cement and steel. 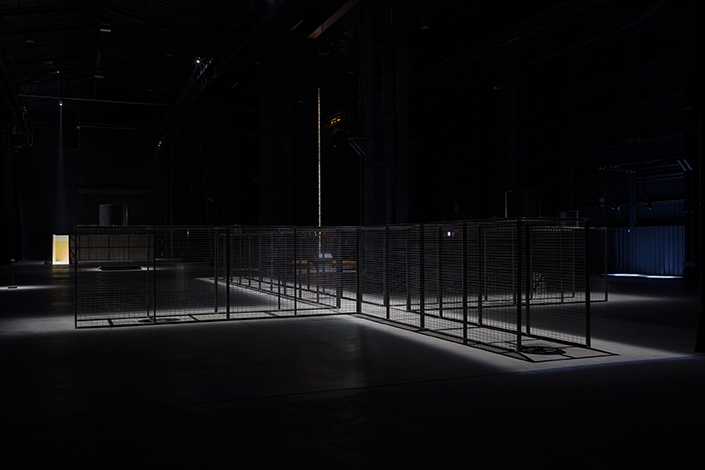 The exhibition at Pirelli HangarBicocca brings together eighteen sculptures, installations, and videos made during the last twenty years and leads visitors through an immersive journey full of physical, symbolic, and temporal intersections, where light and darkness take on a key role and where visitors are invited to experience the works on show through all their senses. 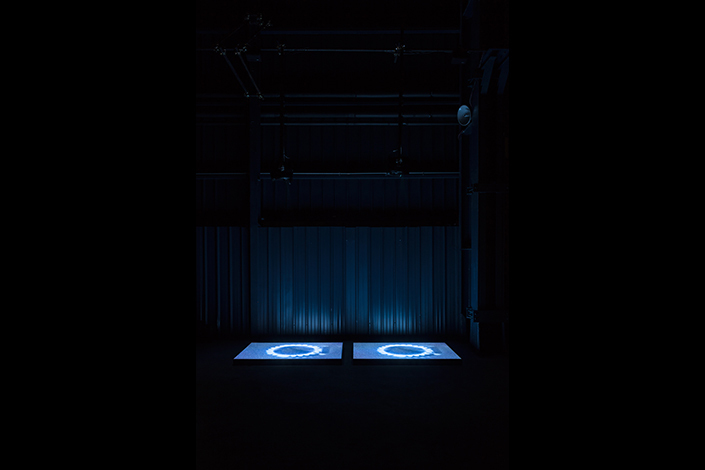 “CROSSOVER/S” opens with Unnamed (2017), a work that can only be experienced through the touch. The velvet curtain that usually marks the entrance to the exhibition space of the Navate is preheated to the average temperature of the human body (between 36° and 37° C). At the heart of the exhibition is Cruzamento (2007), a cross-shaped structure made out of wire cage, incorporating five fans. 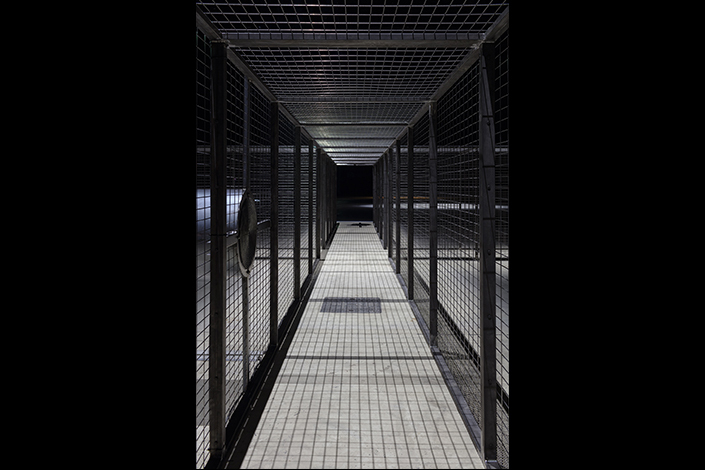 In this installation, Balka reflects on the concepts of transit and passage, creating a junction in the center of the Navate. 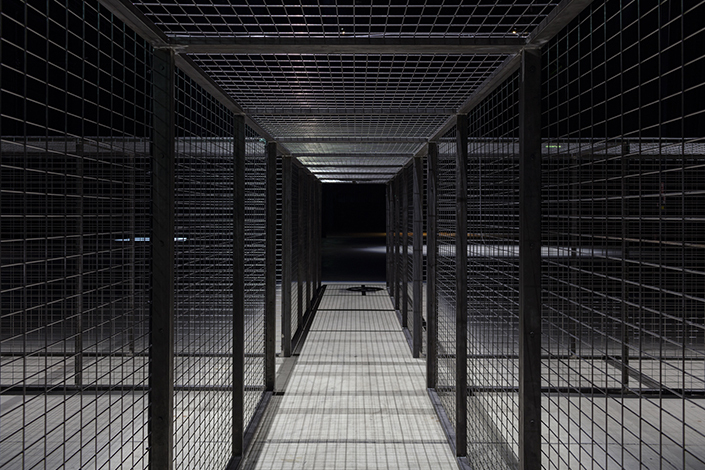 This idea of drawing the visitors’ attention to their own movement in the space and on their presence in it, crops up elsewhere in “CROSSOVER/S,” with works like 200 x 760 x 550 The Right Path (2008/2015), a dark metal corridor which leads visitors somewhere outside the exhibition space without them realizing it. Or the intense smell that wafts from Soap Corridor (1995)—an L-shaped structure, which inner walls are covered by soap – first conceived for the 1993 Venice Biennale. 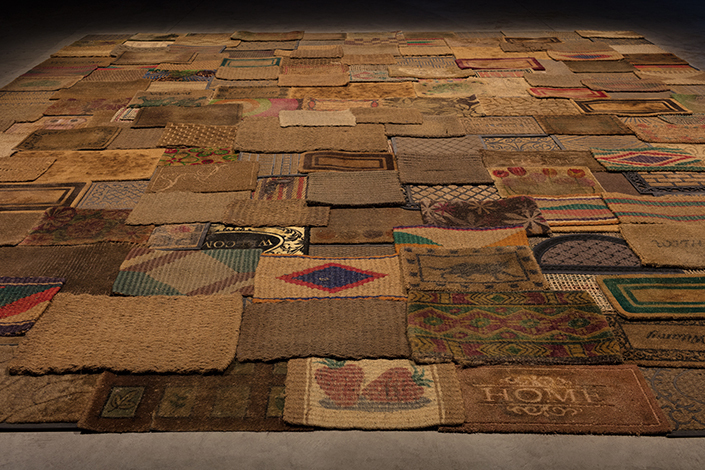 Other works refer to a reflection on the idea of domestic life and collectivity, like Common Ground (2013/2016), an installation of 178 doormats given through an exchange to the artist by some Krakow’s inhabitants that compose a unique walkable surface, or 7 x 7 x 1010 (2000), a column made from used bars of soap evoking the memory of unknown people who used them. In “CROSSOVER/S,” these individual motifs are also interwoven with references to recent Polish history, and to the collective memory of dramatic events from the past such as World War II and the Holocaust: BlueGasEyes (2004), a double projection in which the image of two gas burners is projected on a layer of salt on the floor, evokes the image of the domestic hearth, but also suggests possibilities of violence; and in the installation 250 x 700 x 455, ø 41 x 41/Zoo/T (2007/2008). The playful connotations of the zoo in the title give way to a dramatic flashblack of the one built in the Treblinka camp for the entertainment of the guards. 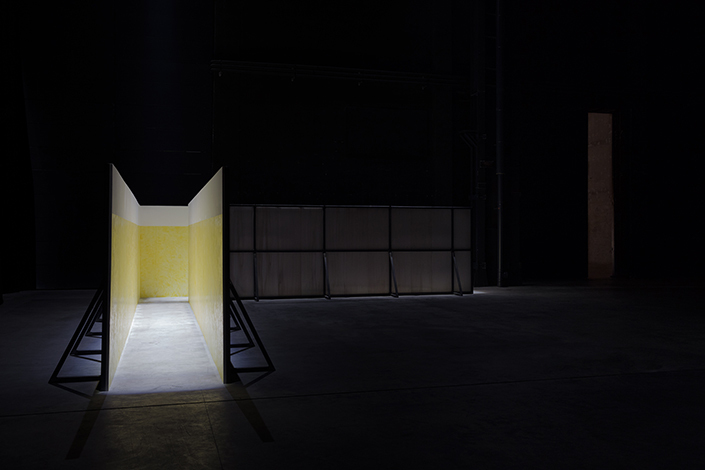 In the Cubo space is installed Yellow Nerve (2012/2015), a work that emphasizes the vast dimensions of the space, playing on its height: a thin, slowly twisting yellow thread hangs down from ceiling to floor. 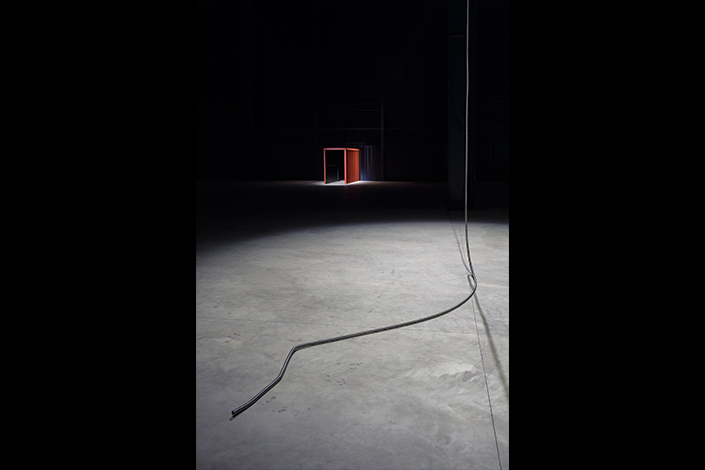 Placed at the far end of the exhibition, this vertical “line” seems to connect with the horizontal line in Holding the Horizon (2016). 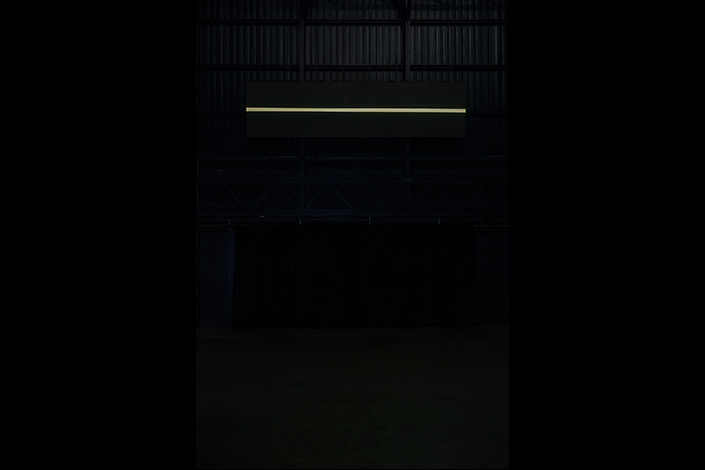 This last work—on a LED screen installed above the entrance to the space—was conceived for the exhibition at Pirelli HangarBicocca and shows the unstable image of a yellow line on a black backdrop. Miroslaw Balka (b. 1958 in Warsaw) lives and works in Warsaw, Poland, where he also teaches, as head of the Studio of Spatial Activities for the Media Department at the Academy of Fine Arts since 2011. 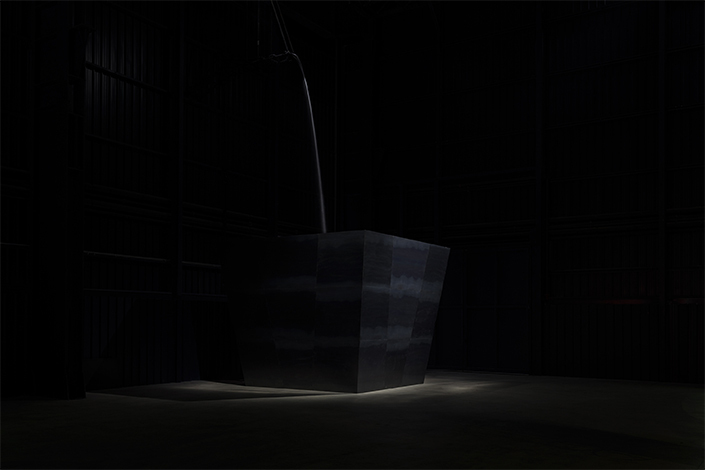 Balka has had solo exhibitions at numerous museums and other venues around the world, including: Muzeum Sztuki, Lódź (2015); Freud Museum, London (2014); National Centre for Contemporary Art, Moscow, WRO Art Center, Wrocław (2013); Museo Nacional Centro de Arte Reina Sofía, Madrid (2010); Museum of Modern Art, Rio de Janeiro (2007); Kunstsammlung Nordrhein-Westfalen, Düsseldorf (2006); Kröller-Müller Museum, Otterlo, S.M.A.K., Ghent and Galeria Zachęta, Warsaw (2001); IVAM, Centre Del Carme, Valencia (1997); Tate Gallery, London (1995); Van Abbemuseum, Eindhoven (1994) and The Renaissance Society, University of Chicago, Chicago (1992). He has participated five times in the Venice Biennale (1990, 1993, 2003, 2005, 2013), representing Poland in 1993, and twice in the Biennale of Sydney (1992, 2006); as well as SITE Santa Fe (2006), the Liverpool Biennial (1999), the Bienal de São Paulo (1998), and documenta IX, Kassel (1992). In 2009 he presented the project How It Is as part of the annual Unilever Series at Tate Modern, London.